Rock and roll pioneer Chuck Berry died Saturday at his home in St. Louis, MO at the age of 90. The St. Charles County Police Department broke the news via Facebook, writing “St. Charles County police responded to a medical emergency on Buckner Road at approximately 12:40 p.m. today (Saturday, March 18). Inside the home, first responders observed an unresponsive man and immediately administered lifesaving techniques. 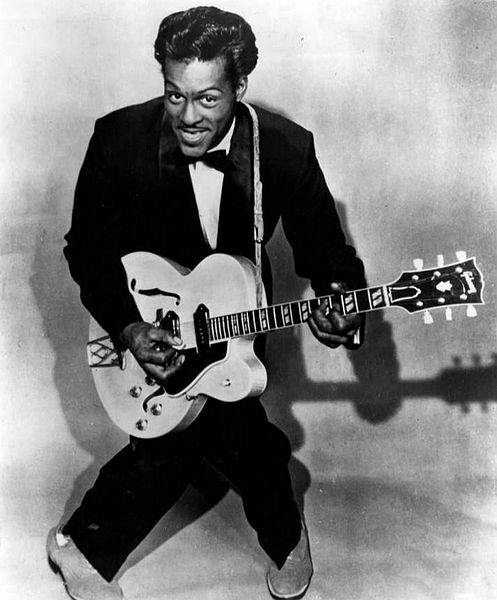 Unfortunately, the 90-year-old man could not be revived and was pronounced deceased at 1:26 p.m.
Berry’s signature rhythm and guitar riffs – and showmanship – defined early rock and roll, building a template that would be used by future generations of musicians with lyrics that addressed the spirit of youth. The guitarist scored his first US hit in 1955 with his debut single, "Maybellene." A seemingly endless string of hits would follow, including "Roll Over Beethoven" (1956), "Rock And Roll Music" (1957) and "Johnny B. Goode" (1958). Berry received a Grammy Lifetime Achievement Award in 1984, and was in the inaugural class of Rock and Roll Hall of Fame inductees in 1986. He was awarded a Kennedy Center Honor in 2000, placed No. 5 on Rolling Stone’s list of the 100 Greatest Artists of All-Time in 2010, and was given the first-ever PEN Award for literary excellence in lyric writing in 2012, and Sweden’s Polar Music Prize in 2014. Berry had recently announced plans to release his first new album in thirty-eight years, “Chuck”, later this year.